Preview: "The Maestro of Mongolia"
​A journey from Tajikistan to Ulaanbaatar, in a totally unsuitable car. The Maestro of Mongolia (Vimeo HD 15Mar) from Jerry Aylmer on Vimeo. Emergency In Tajikistan (720P VimeoHD 15 Sept) from Jerry Aylmer on Vimeo. 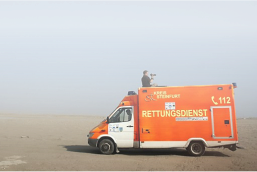 One man’s mercy mission: Jerry drives an ambulance 14,000km on an incredible journey across Europe and Asia. 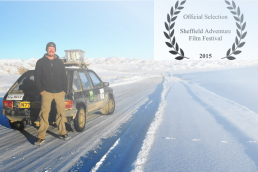 A daring attempt to surf and drive from London to Bamako for charity. Vehicle after vehicle has to be abandoned on route as the team make their way south, the dream surfing safari rapidly becoming an epic desert odyssey. Sahara Surf - The Wrong Way to Mali from Jerry Aylmer on Vimeo.